Carrot cake with the perfect hint of cinnamon and cloves 75/Cake. Perfect for Rosh Hashanna or anytime of year. Made with fresh granny smith apples 80/Cake. Naturally sweetened with the goodness of honey. 85/Cake. So good you would think it was packaged! 75/Cake. Made with all natural wholesome ingredients and NO sugar. They are addictive from the first one. This bread eats like a meal. Protein, carb, vegetable and perfect on the go! Yes you read it right. I custom make a bread with your choice of fruits or vegetables. After many requests and testers, I have mastered my GF and vegan bread. It's yummy and perfect for your sandwiches or toast. 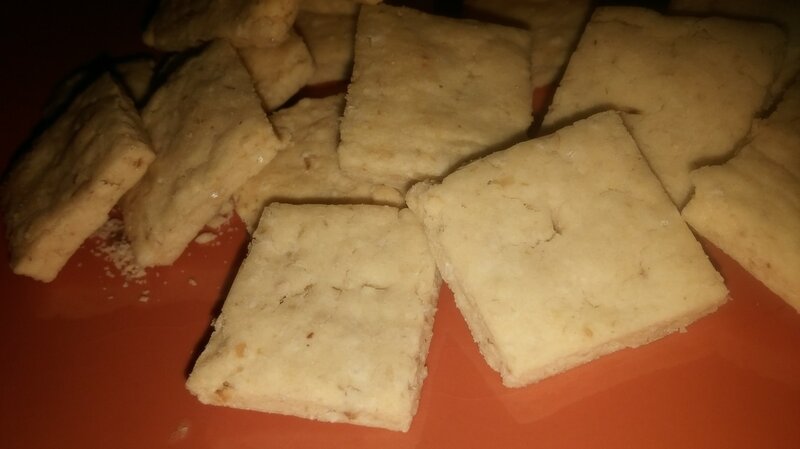 Vegan 'cheesy' crackers. KId tested, mother approved! With ground nuts and flax seed so hidden even my pickiest of eaters love it!